Living the Gourmet is pleased to present the wines of Baglio Di Pianetto. Inspired by French Chateaux wine, while celebrating the unique qualities and heritage of the Sicilian terrain, Baglio Di Pianetto wines are the result of Count Paolo Marzotto’s visionary take on viticulture, devotion to tradition, sustainability, and professionalism. Baglio Di Pianetto encompasses two estates in Sicily. The Pianetto Estate is located in Santa Cristina Gela, in the vicinity of the DOC Monreale, which places its vineyards at an elevation of roughly six-hundred and fifty meters. The terrain features constant, brisk ventilation, and drastic temperature changes through the day and night cycle, which, combined with a rich soil gradient ranging between ten to twenty percent, makes the area a prized winemaking region. Located in the town of Noto in the province of Siracusa on the shore, the Baroni Estate is lashed by the Mediteranea sea winds at an elevation of fifty meters. With almost no temperature change between night and day, and subject to the harshest of Sicilian summers, the area has a long and proud history steeped in wine tradition. Living the Gourmet was given the opportunity to sample a range of Baglio Di Pianetto wines, from both estates. The Ginolfo 2011, from Viognier grapes, features a sublime golden yellow hue, and a deep floral fragrance. The white wine is full and rich, yet soft on the palette, with hints of bread-crust, and consistent vanilla tones throughout. Upheld throughout by elegant tannins, the Shymer 2011 is a crisp and subtly rustic wine, whose clear fruit palette is accompanied by bold spice aromas. A Syrah-Merlot wine, with grapes carefully selected from both estates, the Shymer possess a deep crimson hue, with dark ruby overtures. The Carduni 2007 is a richly textured, ‘complete’ wine. Matured for fourteen months in French Allier oak barrels, the Carduni is a subtly herbaceous wine, whose intense nose is laced with hints of licorice and soothingly bitter cocoa. The wine ends in spicy balsamic notes, continuing in its intensity, while maintaining its smooth texture. The Salici 2007 is a wine as pleasing to the eye as it is to the palette, featuring garnet reflections across its intensely red body. Featuring a harmonious mix of blackberry, toasted bread, and vanilla laced with hints of blackcurrant, the wine is full-bodied and instantly mouth filling. Carmine in color, the Ramione 2011 features subtle spice and vanilla notes, with powerful red fruit and berry aromas. The Ramione is a uniformly pleasant wine, whose persistent texture and palette is truly endearing. Cembali 2007 is a Nero d’Avola wine, with the grapes carefully selected from the Baroni estate vineyards, and then aged in Alliar barriques for fourteen months. The Cembali possesses an intense red hue, accompanied by a deceivingly intricate aroma of diverse spice and black fruit, with hints of musk. 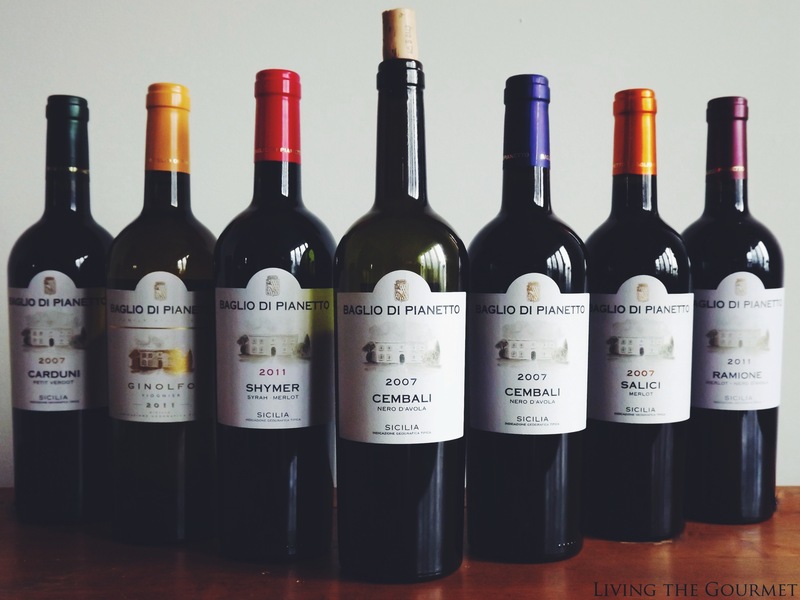 For its quality, devotion to tradition and sustainable viticulture, Living the Gourmet can easily recommend Baglio Di Pianetto wines to our readers. Place the sliced zucchini in a bowl; add the seasonings, lemon juice and canola. Heat a large frying pan and place the sliced zucchini in the pan; do not over crowd the pan. 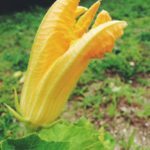 When the zucchini become golden on one side, turn over and finish cooking on the other side. Set the zucchini aside for the spaghetti dish. Heat a heavy cast iron sauce pot on a medium to low heat; add the tomatoes and cook down, uncovered. Add the olive oil, garlic, basil and seasonings and continue to cook down on a low heat; uncovered. The longer you cook the sauce the better it gets. Prepare the spaghetti according to directions and drain. Place the spaghetti in a serving bowl. 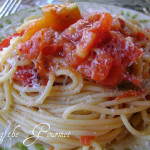 Top with a drizzle of olive oil, a dash of red pepper flakes; add the fresh tomato sauce and toss. Add fresh grated cheese, Asiago cheese and fresh basil to finish the dish. Serve this dish with a glass of Baglio Di Pianetto wine. **I received this product for review and was not financially compensated for this post. All opinions expressed are my own. I'm hoping that there is a side of fresh, hot, garlic bread toasted lightly!! This all looks delicious. I was just reading an article online this week of all what goes into working a vineyard and bottling wines. LOTS of work, patience and strong will to name a few. Wow, you are a wine expert! This looks so good, especially with the cheese on top. I don't know anything about wine. The only thing I know is that my doctor said to drink a glass every day. But I don;t like it and cannot afford to waste money finding one i like!! Lovely read re the wines, Catherine. Your choice looks perfect with your spaghetti recipe. My mouth is watering...for both the wine AND the dinner! Un piatto ghiotto e gustoso, mi piace!!! I love the fresh tomato sauce and pasta. A great wine is always a nice compliment to a delicious meal like this. 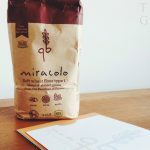 Hi Catherine, love this sauce, beautiful dish! Sounds like a wonderful sauce, Catherine. And so easy! The only kinds of wine I could stand to drink back in the day were Mad Dog 20/20 and Boone's Farm Strawberry Hill. This proves just how sophisticated I truly am--right? Pasta and wine....life is good. This is a great meal, Catherine. 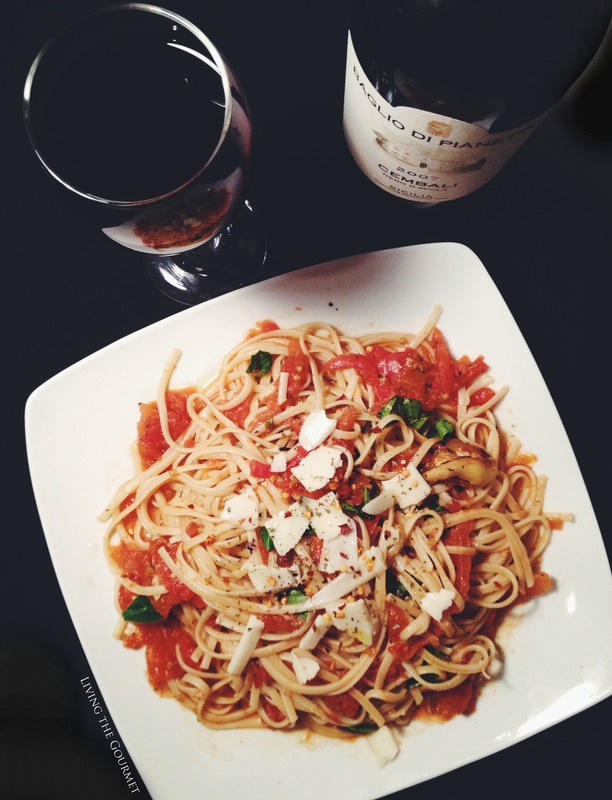 The spaghetti looks amazing and the wine sounds delicious. Yumm! I love the addition of zucchini to this fresh dinner. Oh gosh, this wine sounds heavenly! This sounds so good, really good with the wine too! It looks delicious! Thank you so much for sharing. 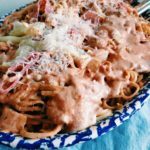 I am always looking for healthy weeknight dishes. This is just special enough for company as well. 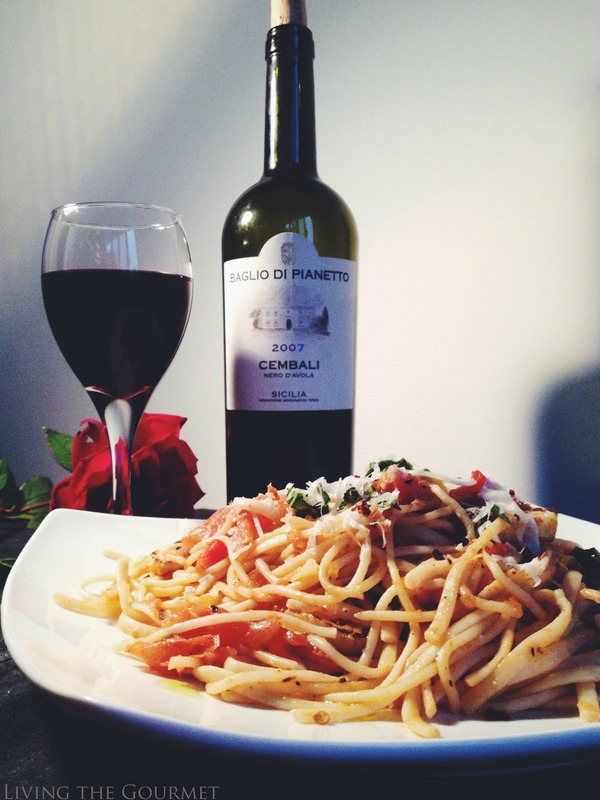 As far as I'm concerned, a beautiful tomato-y pasta dish with a lovely big glass of wine is the perfect meal. Thank you for sharing, I know what I'm having on Friday night! 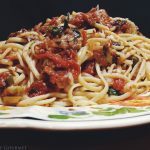 Love the sautéed Zucchini Spaghetti and what a delicious tomato sauce! 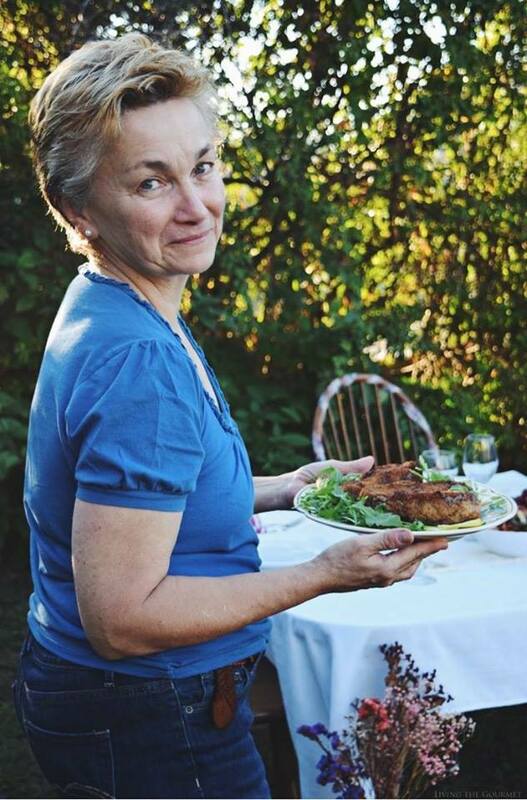 Thank you for sharing this post with us at the Hearth and Soul hop. Your pasta dish looks amazing. Thank you for sharing at the Southern Special #30. 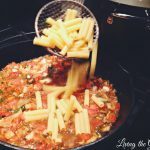 That is delicious spaghetti catherine, thanks for sharing with Hearth and Soul blog hop. pinning. Rose wine is not heavy as red wine but it's not also light as the white wine. The taste and aroma of wine stays the same if refrigerated and served cold. For instance, if you tend to buy in bulk, simply collect vintages as you see them, or just prefer to keep a large stock on hand at all times, you'll be looking for an ergonomic rack that's convenient for storing bottles out of site.